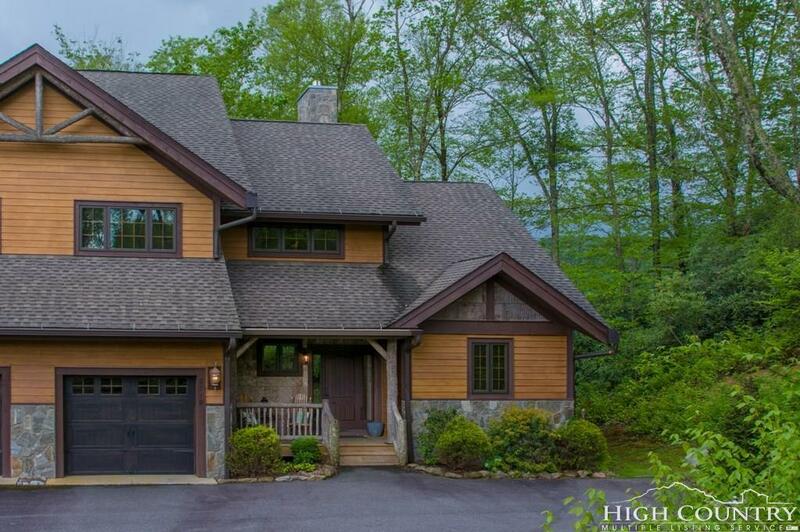 Stunning luxury Townhome in the heart of Banner Elk. 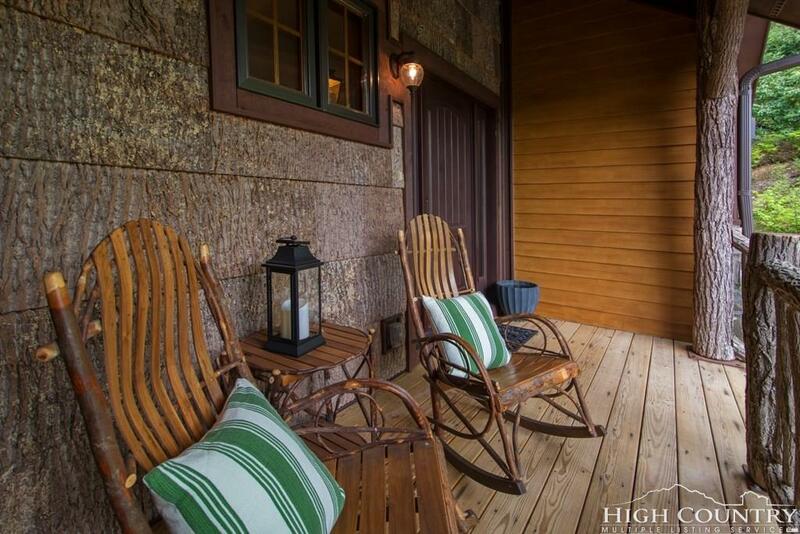 Adirondack construction features Bark accents, real Locust railings and posts and low maintenance Hardiplank siding. A covered front porch welcomes you into the foyer and a great room that boasts a vaulted timber framed ceiling, dramatic floor to ceiling stone fireplace and beautiful hardwood flooring that extends throughout the main level. You will love the open concept floor plan, kitchen with custom cabinets, granite countertops and stainless steel appliances. Sliding glass doors open from the great room on to the spacious covered back deck with T&G ceilings perfect for outdoor entertaining and enjoying the views. The master bedroom and bath, laundry facilities, and half bath complete the main level for easy one level living. A one-car garage opens conveniently to the kitchen. Upstairs are two guest bedrooms, guest bath, loft and "bunk room" for an additional sleeping area. Offered tastefully furnished and in move-in condition. Ready for immediate occupancy. 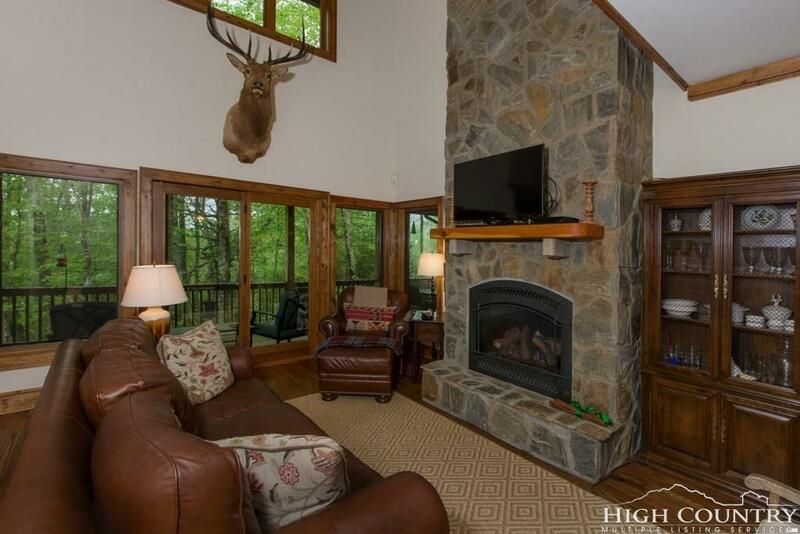 Listing provided courtesy of Mary Adams of Premier Sotheby's International Realty- Banner Elk.